Psychodiagnostic testing is used to help diagnose and clarify concerns regarding behavior, personality traits, mood, emotional functioning, and cognitive processes. It usually involves a sophisticated and extensive workup to distinguish the psychological contributions that may confound accurate diagnosis and treatment. 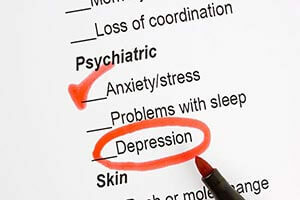 The report is often used to answer specific referral questions (e.g., diagnostic clarification, differentiation between Axis I and Axis II disorders, multiple coexisting psychological disorders, and psychological disorders secondary to medical conditions or substance abuse/dependence, current psychosocial stressors, and adaptive ability). When a client is not responding to psychopharmaceutical treatment and a clarification of diagnosis is needed. When there is a history of trauma (especially long-term exposure) and there are concerns that current symptoms may be partially attributed to these experiences. When substance abuse is suspected as a primary contributor to other psychological disorders, or when it has developed as a secondary problem due to an individual's inability to utilize healthier and more adaptive coping mechanisms. When there are problems in interpersonal relationships, especially when these issues are significantly impacting an individual's functioning. When there is a history or current problem with self-harm or suicidal ideation. When there is a suspicion that an adult may have ADD/ADHD which was previously undiagnosed. Dr. Tansman will meet with you for an initial session in which she will gather all relevant history, background information, and current symptoms. It is possible that she will consult with family members, teachers, and/or physicians, with your consent, in order to gather a comprehensive profile of the individual. The type and number of tests given is dependent on the referral question. Dr. Tansman will then write a report which can take a few weeks and another session will take place where she will review the report with you and any of your questions or concerned will be addressed.